The idea of how I finally install Octopress on Windows 8.1 is because I did it on Mac already. And as always, I was being curious about Windows 8.1 operating system. Simply “what about if I install Octopress on Windows” question. Then I tried to google around, and I write the method to install Octopress on Windows 8 that works for me below. A note before we install Octopress on Windows 8.1: I dual booted my computer that’s why you see F:\> path in the video, in yours, should be on C:\>. 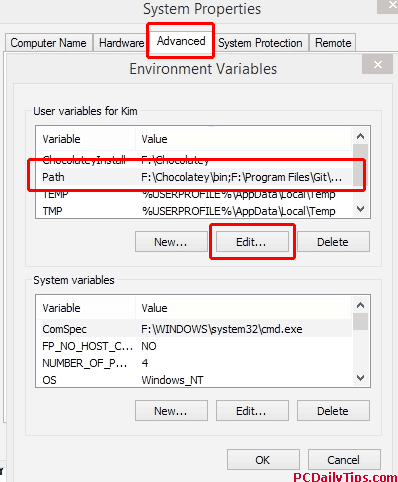 In this tutorial, I am using chocolatey, Windows sort of Homebrew version, enabling us installing stuff easier in Command Prompt. Using this Windows Command tool is so fun, that I enjoy doing it, this is one of advantage of blogging with Octopress, you don’t need any FTP client to deploy. See this FileZilla SFTP tutorial if you are interested. 1. 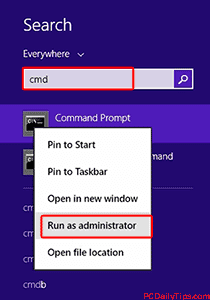 Open your Command Prompt, by searching “cmd” on search charm bar, and right click it, select, “Open as Administrator”. 2. Install chocolatey inside Command Prompt, by clicking the copy icon on their website, and paste it in your Command Prompt. It will say, ‘git’ is not recognized as an internal or external command, operable program or batch file. Don’t worry, just exit your Command Prompt, and restart it again. 3. Install Ruby 1.9.3 from Rubyinstaller.org/downloads. 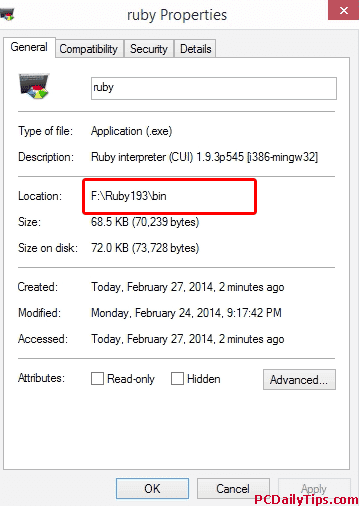 Click here to download directly from Rubyinstaller.org and choose the file yourself, as shown below. 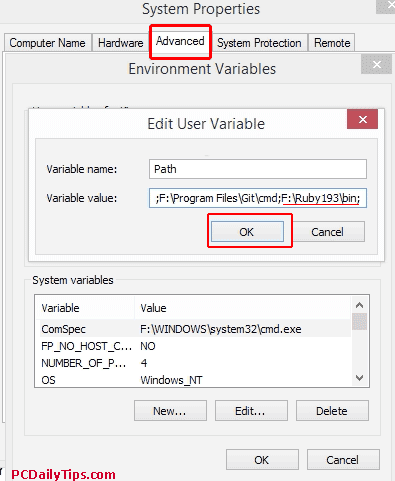 you will see ‘ruby’ is not recognized as an internal or external command, operable program or batch file. To solve this, go to your C folder (mine is in F, because of dual-boot). 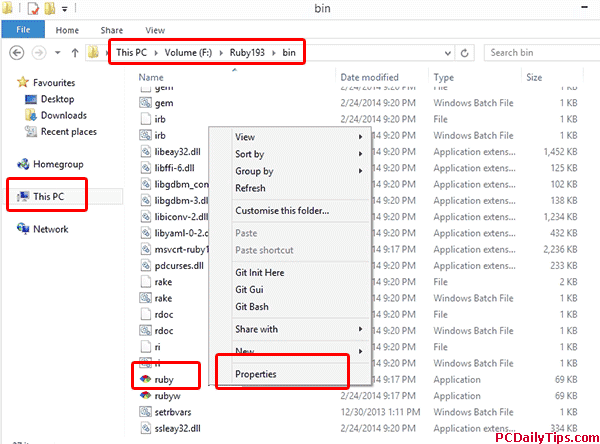 So go to C:\Ruby193\bin folder. Scroll down, and you should see ruby application, select, and right click it, go to “Properties”. The right click on “This PC” and select on “Properties”, “Advanced system settings”. 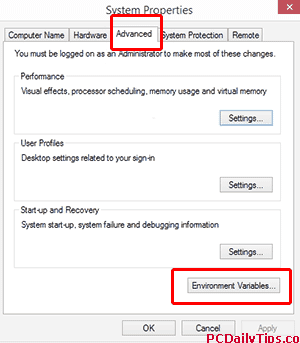 In “System Properties” make sure you are on “Advanced”, then click on “Environment Variables” button on the bottom right. In “Edit User Variable”, in “Variable value”, add the ruby application path we coped above right after semicolon, and after pasted, add semicolon again at the end. Click, Ok, Ok and Ok.
5. Install Ruby Development Kit, by typing cinst ruby.devkit in your Command Prompt. Now, that we’ve set up our development environment, we will install Octopress, see official setup guide here. Change “kim” to your Username. Change “blogweb6octopress” to your site name or any custom names. To start creating post and other, see Octopress documentations. That’s it, let me know how you did differently.